Burning Man is such a fun way to express your style and creativity. I was hunting Pinterest for fun costume ideas when I came across all these beautiful sequined, rhinestoned, shiny, amazing hats. I found some to purchase on Etsy, but they can be a little pricy. 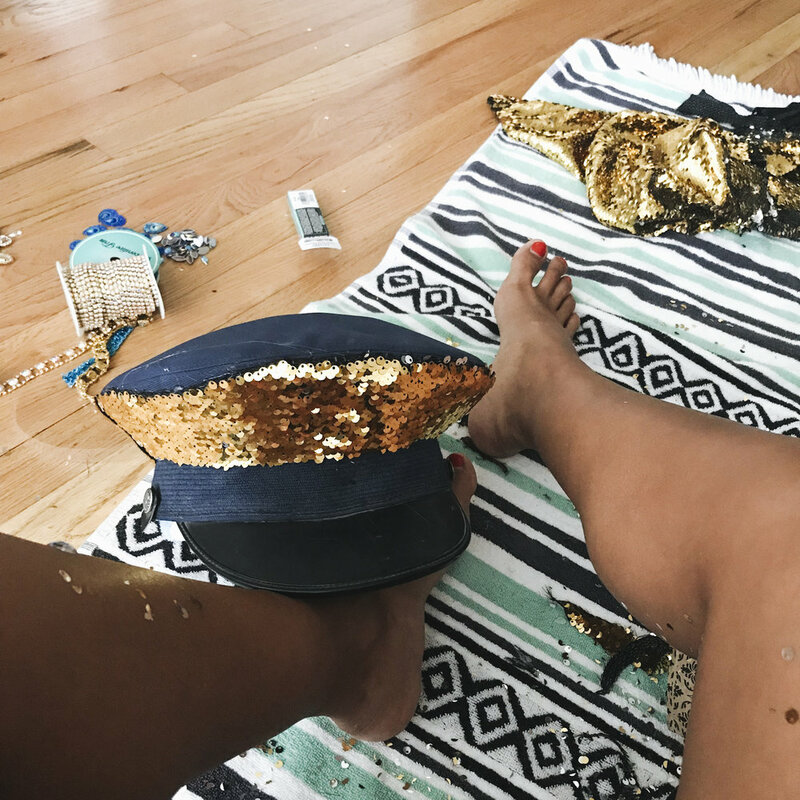 With a little time and craftiness, you can create your own, and then it’s unique to your style and a fun DIY project. 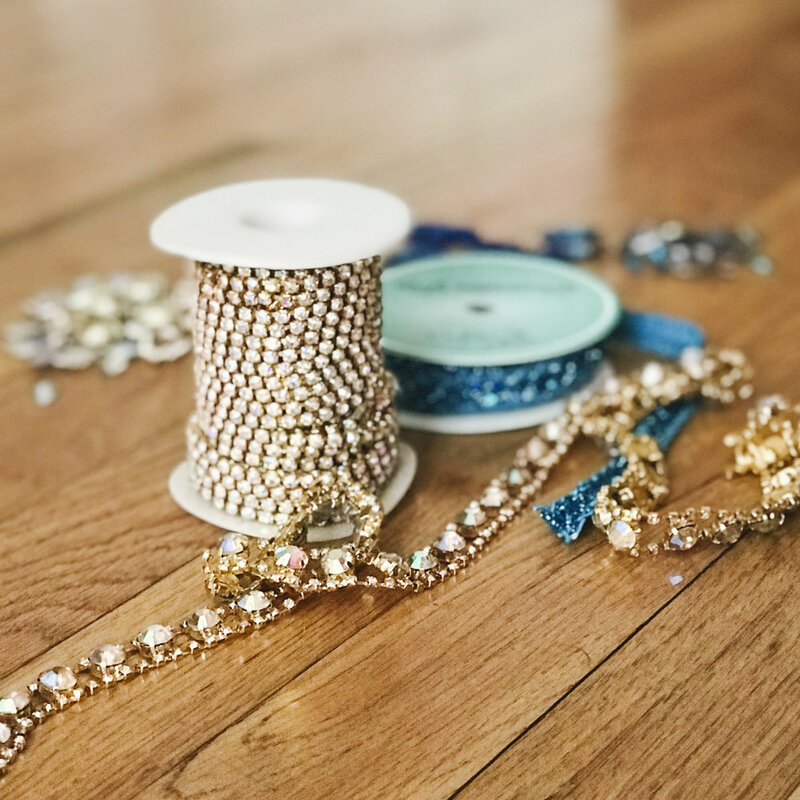 In this post I’ll give you a rundown of the supplies you’ll need (subject to your own personal taste), and the steps to create your sparkly gem. Here’s a supply list, most of these selections come in multiple colors so you can choose to modify to fit your personal taste. 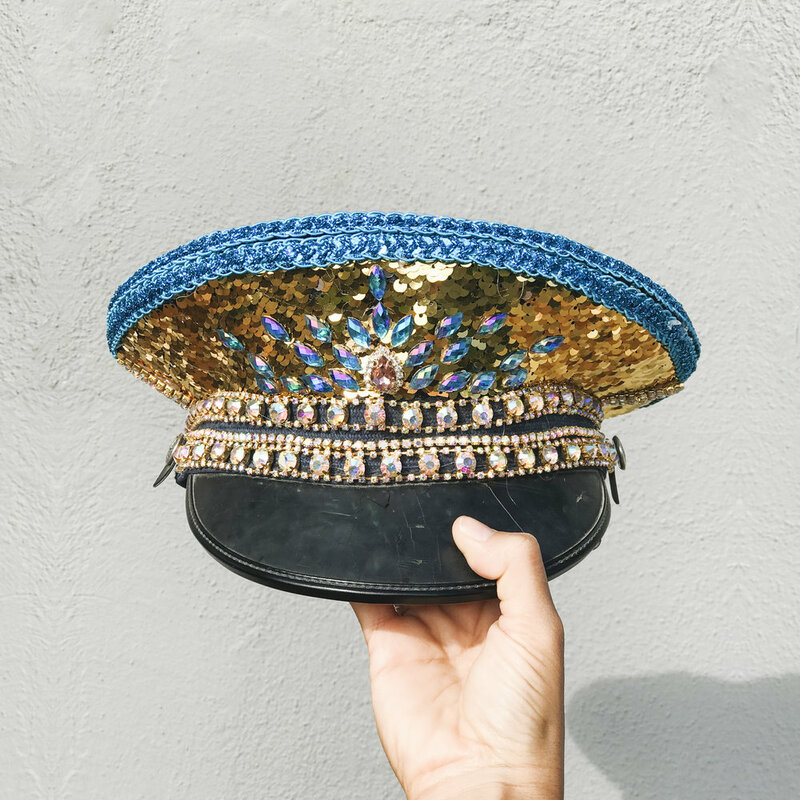 Using a piece of chalk or something similar, trace your hat shapes onto the sequin fabric. Cut these shapes out and apply using the hot glue gun. This is the hardest part of the process, sequins will be flying everywhere. Make sure they don’t fly into your eyes! 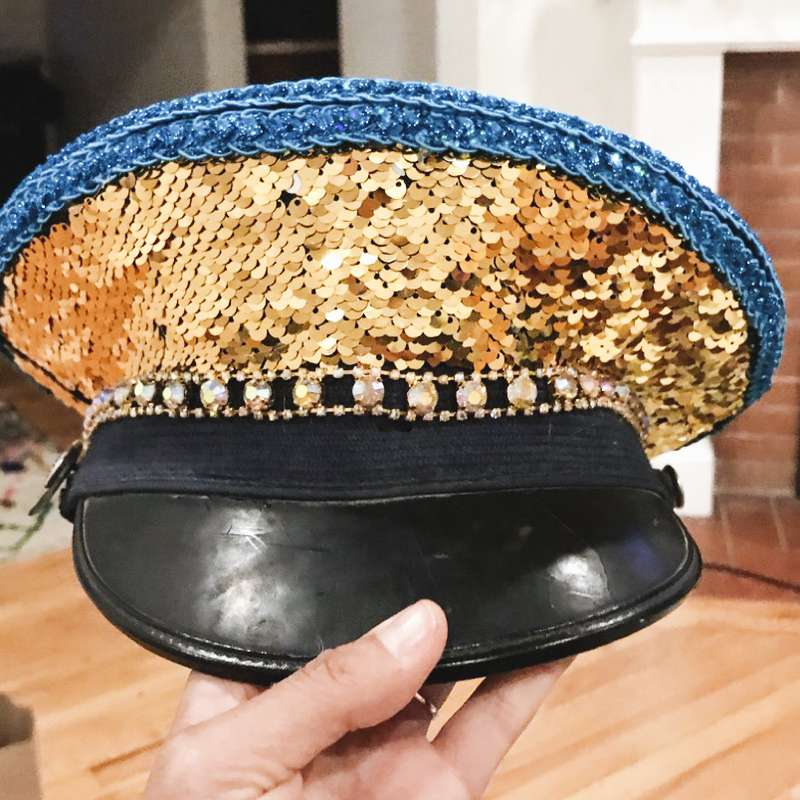 I used a Braided Sequin Trim for the top of the brim, using the glue gun to add it the edge where the two pieces of fabric meet. Across the main banding on the front side, I used a crystal rhinestone appliqué. It’s already strung together so all you need to do is glue it across the brim. Predetermine a design for the front of your hat by laying rhinestones out before you commit to gluing them. I originally wanted to use more of the pink teardrop statement rhinestones, but it turns out the brim was too short so I stuck with one statement pink stone surrounded by a burst pattern of smaller blue rhinestones. These hats were both a fun statement piece, and protected our foreheads from the sun! What do you think of the final product? Leave a comment below. If you’d prefer to purchase one of these hats, here are some great shops I found on Etsy that sell them!